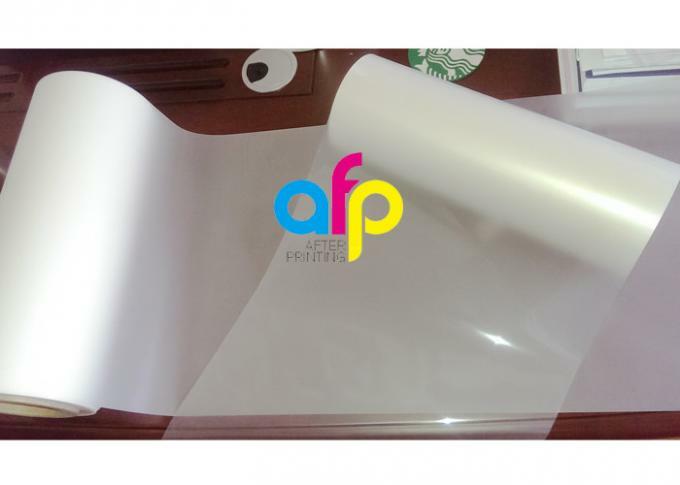 Polyester(PET) Thermal Laminating Film is the finished prints' value through high transparency and super luster finish. 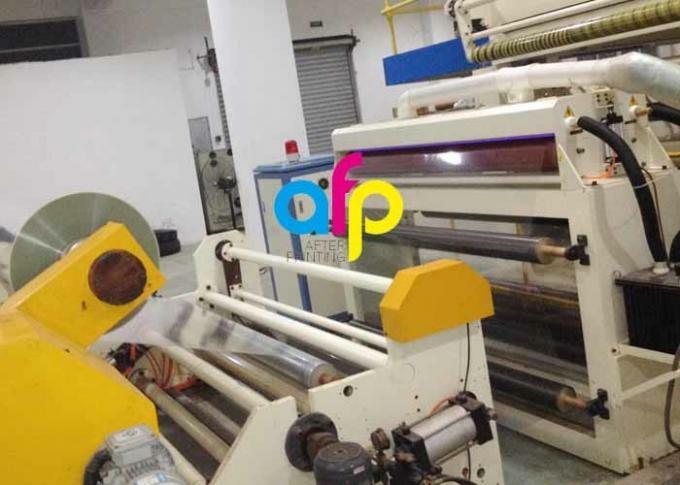 Different from BOPP laminating film, PET laminating film is made of PET Film and EVA Glue, it's more stiff and higher gloss. Meanwhile, PET film is more suitable for printing. Widely applied to Books,Posters,Presentation Folders,Labels,Shopping Bag,POP Signs,Document,Book Covers,ID Cards,License,Passports,etc. 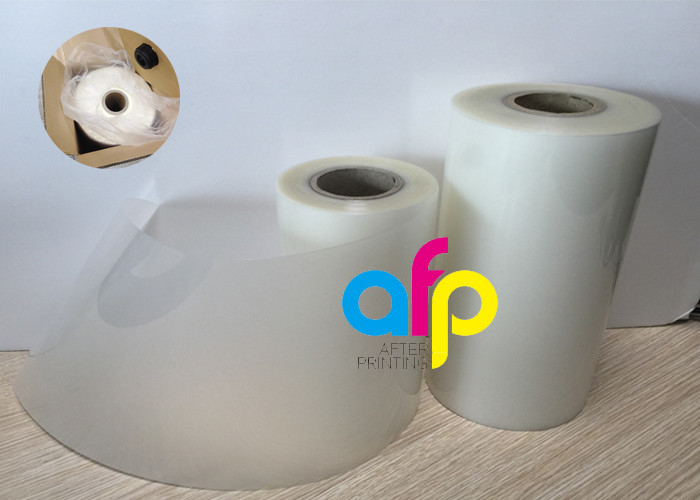 *PET Lamination Film Roll is applied to Books,Posters,Presentation Folders,Labels,Shopping Bag,POP Signs,Document,Book Covers,ID Cards,License,Passports,Antigraffiti,Boardmaking,Write on/wipe off Calendars,Photographs,Albums ect. 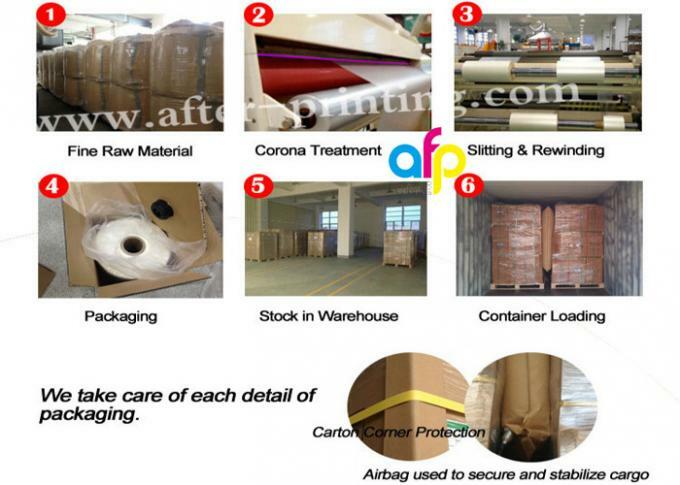 *Outside coating for wrapping box or bag for food,medicine,cosmetic,gift,liquor etc.